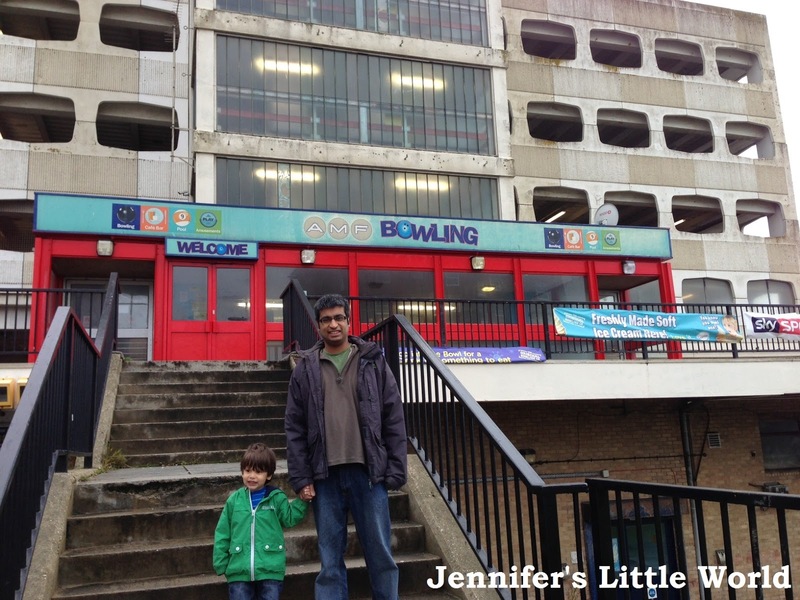 We'd been wondering whether to take Harry bowling for a little while, so when AMF Bowling offered us the opportunity to try out a family bowling day I was very interested to see how we got on. Initially we were going to take Mia, but fortunately we were able to arrange for my Mum to look after her, as I think at 17 months old she's probably still a little bit too young. Harry is 3 1/2 though, and it was perfect for him. We went to our local one, which is on Worthing seafront. 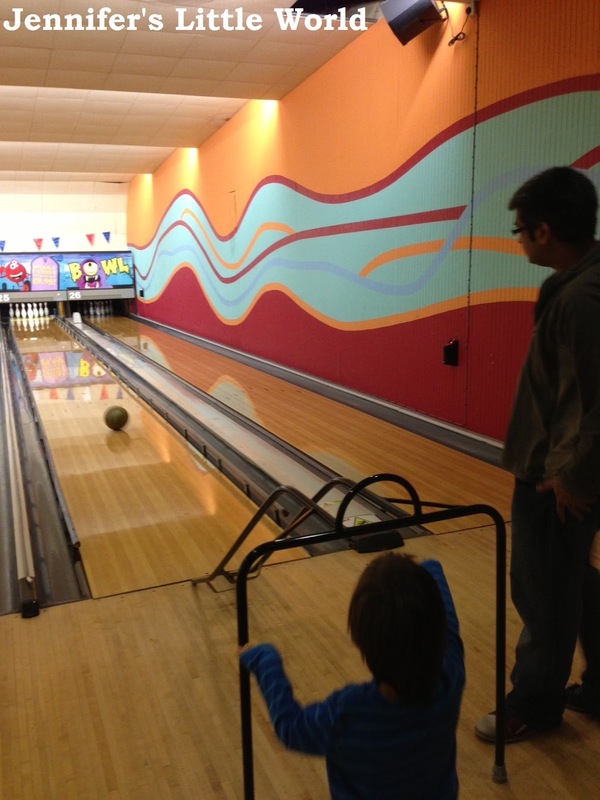 I've never been a regular bowler, although I've been a few times over the years. I've not been with a young child though, so I wasn't really sure how Harry would get on. But with the addition of bumpers down the sides of the lanes and a special ramp for him to roll the ball down, it really made the competition between us much more even. I must admit that the adult's scores benefitted more than a little from having the bumpers in place, even if my husband did claim that he was using the bumpers strategically in order hit the pins at a particular angle. Harry caught on very quickly, and I taught him my tried and tested trick to use the power of your mind and your waving arms to will the ball over to the correct side. As I knew he would be, Harry was also fascinated by the machine that returns your balls to you. We had a great morning, and we all really enjoyed it. It felt like we could compete evenly, despite the fact that he's only little. We'll definitely be back when Mia is old enough to join in too. Here is a little video showing how easy it was for Harry to use the ramp to roll the ball down (and how waving your arms really can influence the movement of the ball).